Folds small for big adventures. The City Tour stroller is the ultimate travel companion. 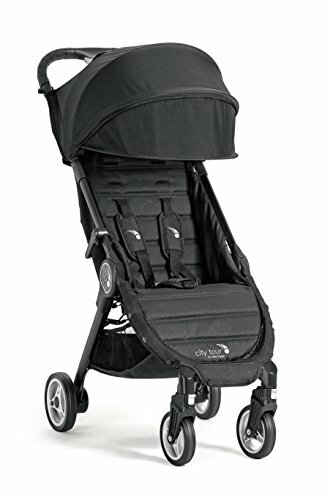 This fully featured stroller includes a near flat recline, UV 50+ extended canopy, and a comfortable, padded seat. At only 14 lb, it folds down small and meets carry-on requirements for many modes of transportation. A convenient backpack-style carry bag comes with the stroller, and an onboard storage compartment within the under seat basket allows it to be stored away when strolling. Add-on accessories allow for easy customization of the City Tour stroller so you're equipped to carry on with your day, wherever it may lead you.